It was not so long ago that winter was the source of major anxiety. The season was interminable and dark, and if the summer bore poor crops, filled with hunger. And it was cold. I recently pulled out Oliver Twist, and Charles Dickens wields winter like he does Bill Sikes. A presence throughout, bleak and menacing, something to be feared like the threat of a violent blow. “It is cold, Nancy dear,” said [Fagin], as he warmed his skinny hands over the fire. “It seems to go right through one,” added the old man, touching his side. Deep within, at a cellular level untouched by central heating, we still feel that cold. Like Fagin, we turn to something that can warm from the inside. If Dickens is correct, Londoners in 1837 seem to favor pots of water and gin; for my tastes, nothing warms and soothes so well as a snifter of strong, possibly spiced ale. You can have your pale lager on white sands at the edge of sapphire waters—give me a fire and a Christmas beer. It’s the most satisfying drinking experience of the year. A Christmas beer by the fire is the author’s most satisfying drinking experience of the year. Photo by Jon Page. Holiday ales are an old tradition. In England they were once literally warming—sometimes topped by a crust of bread or a flotilla of apples. In Franconia, as the nights turn chill, breweries turn to bock to warm their shivering customers. In Belgium and France, they enjoy strong, sweet bière de Noël, or, in some of the grote markts of the Flemish-speaking region, steaming mugs of glühkriek. For my purposes, something a bit dark, quite strong, dryish, and possibly aged to sherry-richness fits the bill perfectly—but in truth, I’m agnostic so long as it packs a punch. This is the season when—even in America—we are induced to slow down and embrace relaxation. The impulse has many causes, but one is surely that old, human desire to huddle where it is warm. Around the solstice, when the days are short and work is difficult, we instead accede to the warmth. We are given a seasonal respite, allowed to enjoy inactivity. 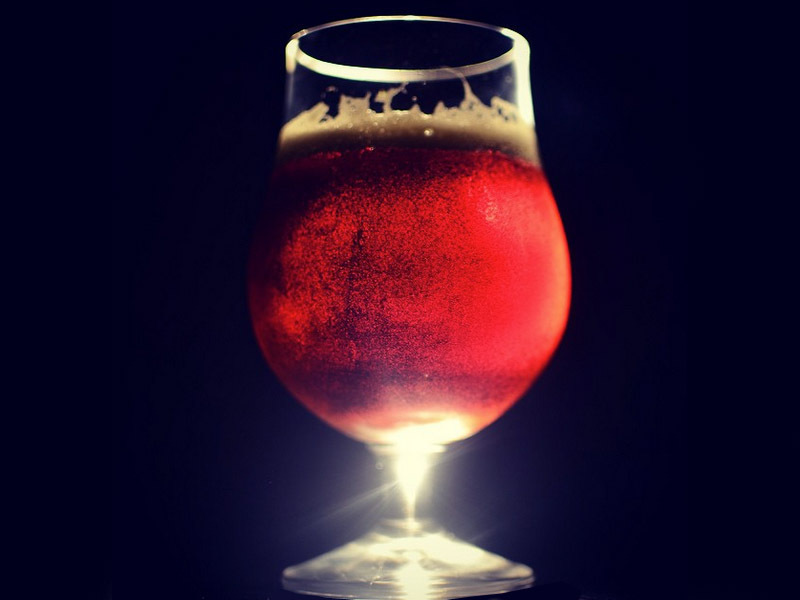 A holiday ale is the perfect accessory, further warming, relaxing and comforting. Give yourself something to drink, something strong that will chase the cold from your bones.